Another great look for #ssholidayglow!!! 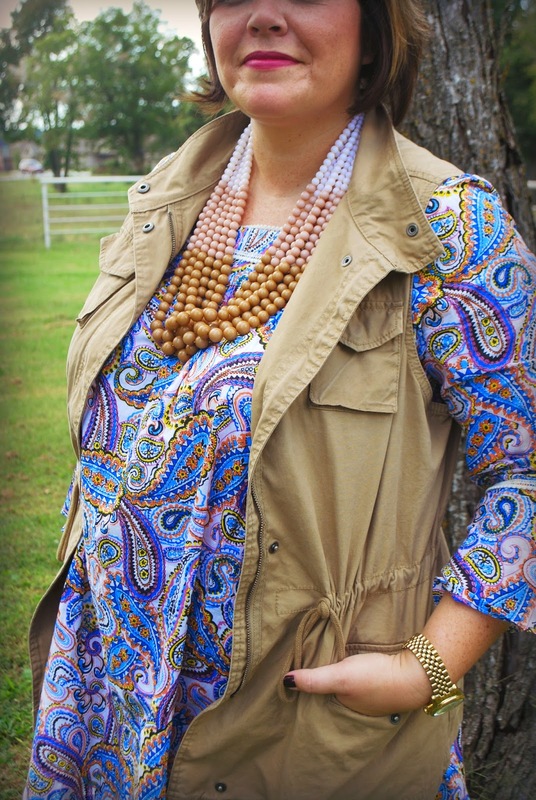 I thought this was a great look for the pumpkin patch, a fun day running errands, or even a girls' night! 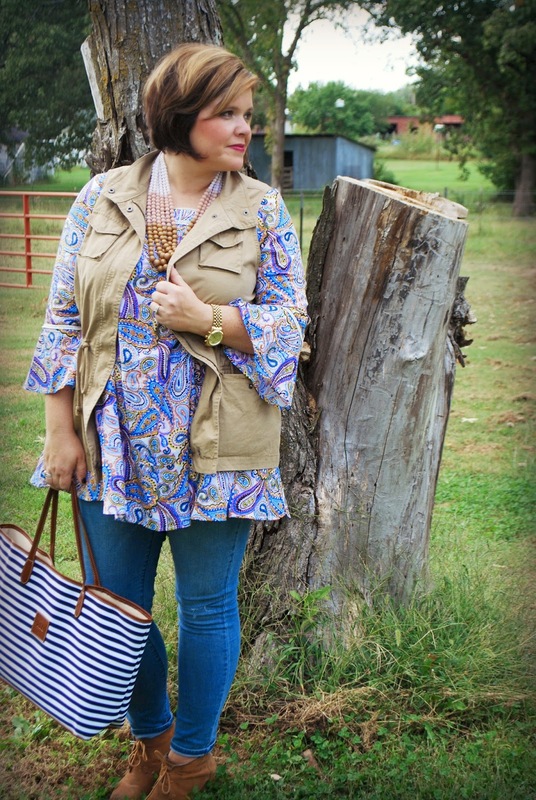 The fun colors on that flowy tunic under the vest was comfortable, but still put together. And I was not burning up WIN WIN! The top was a little too flowy for my liking (didn't want to look pregnant!!) - but adding the vest was the finishing touch. 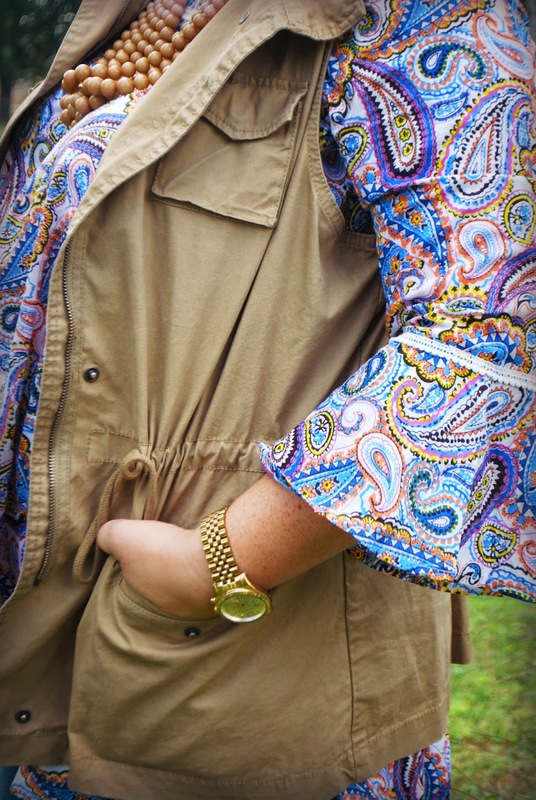 I cannot tell yall enough that you need a utility vest!!!! 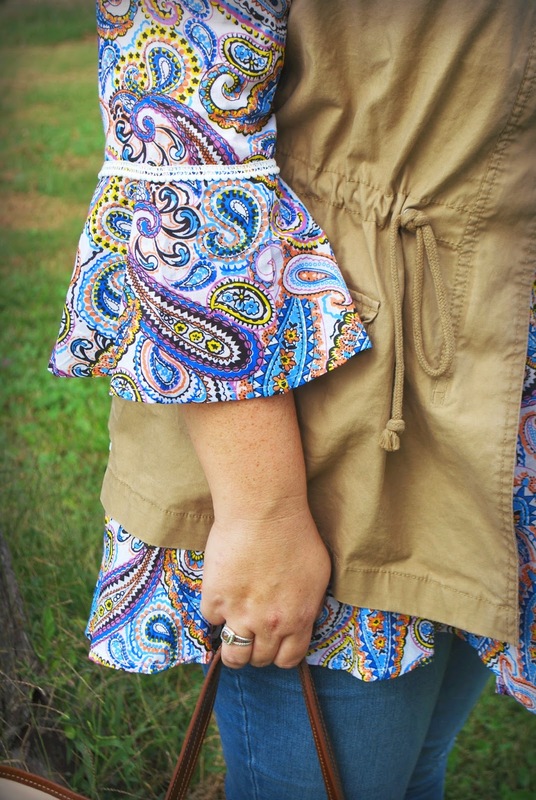 This tunic was so much fun!! I received it from Eshatki and I was skeptical at first. Eshatki will custom make pieces for you. 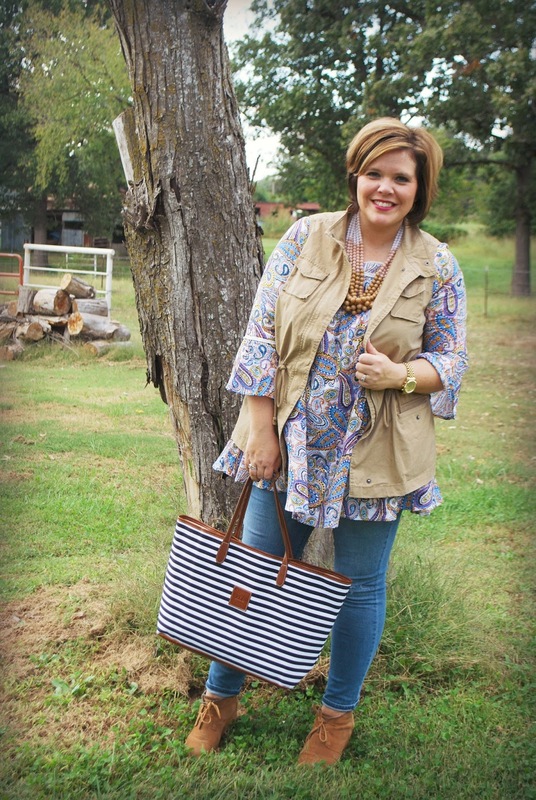 You pick out the style, fabrics, colors, etc and then give your measurements. They will send you a piece custom to you and I was shocked how much I loved it!! The pom pom fringe? Icing on the cake. I will wear this year round too...check them out! Hope you are being inspired by all the #ssholidayglow!! I am having so much fun!!!! Thanku for shariong this nice posts..